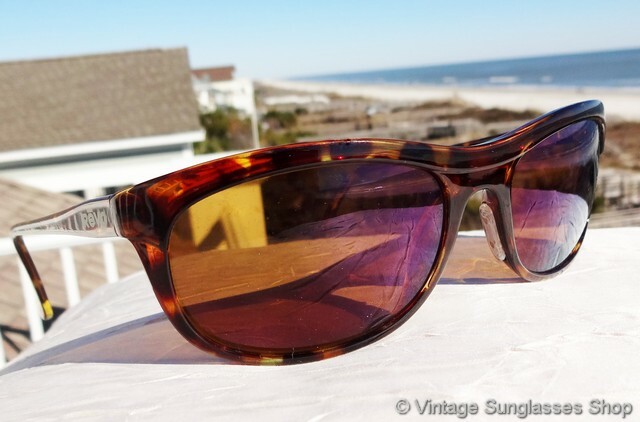 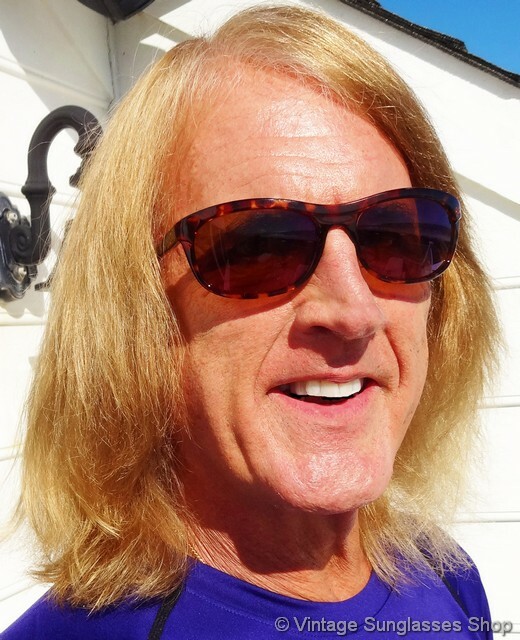 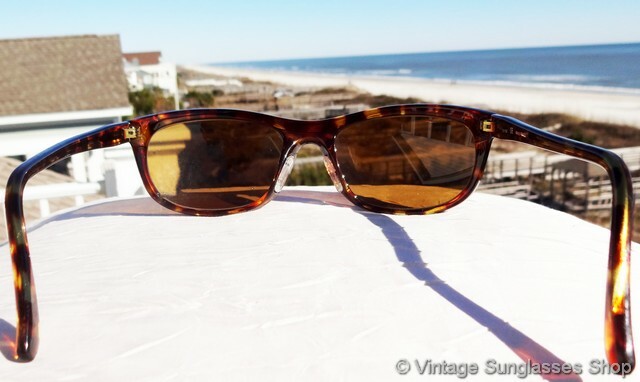 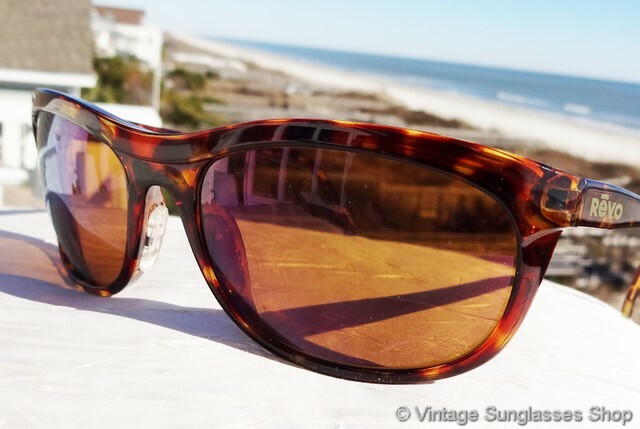 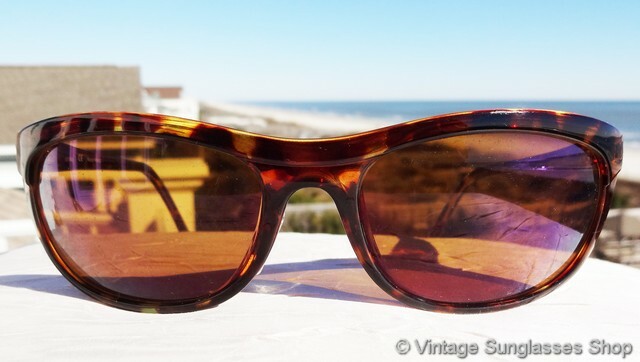 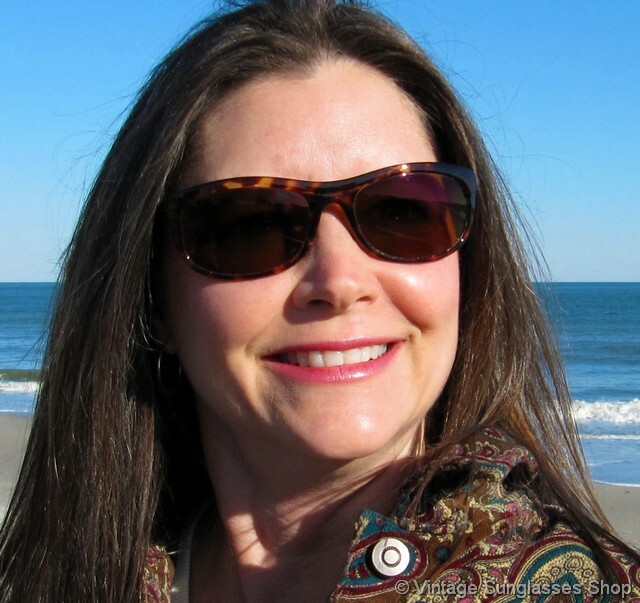 Vintage Revo 1001 008 Small Wrap sunglasses are a rare, low production style with a beautiful yellow tortoise shell frame and highly reflective Revo purple mirror lenses that also pick up plenty of red hues out in the sunlight. 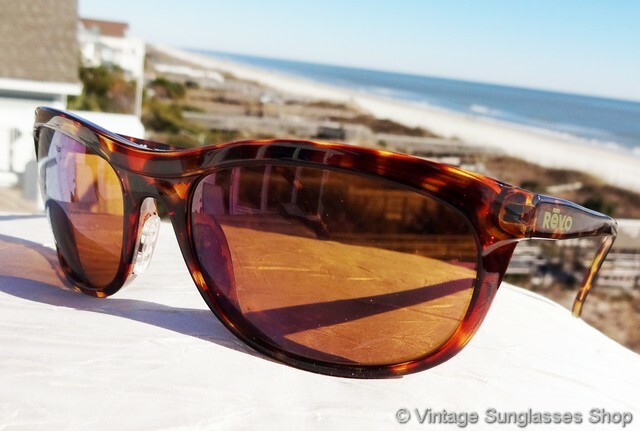 The yellow tortoise shell frame has a subtle wrap contour that form fits to the face and helps to keep out wind and glare from the sides, a great mix of high style and high performance. 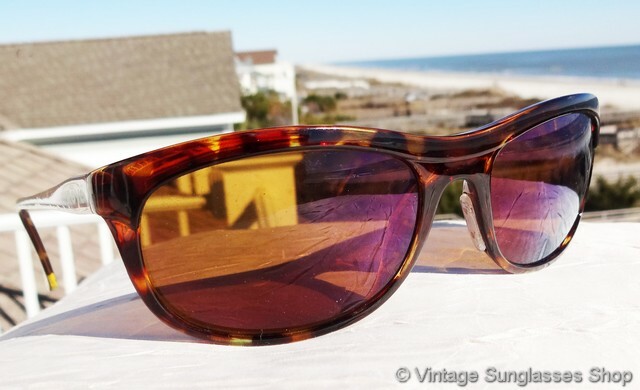 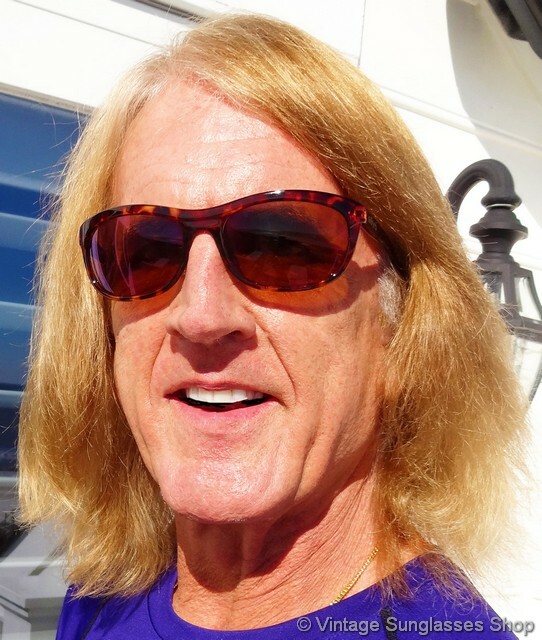 The unisex Revo 1001 frame measures approximately 5.25" temple to temple with purple mirror lenses measuring approximately 2.25" x 1.5" at the widest points. 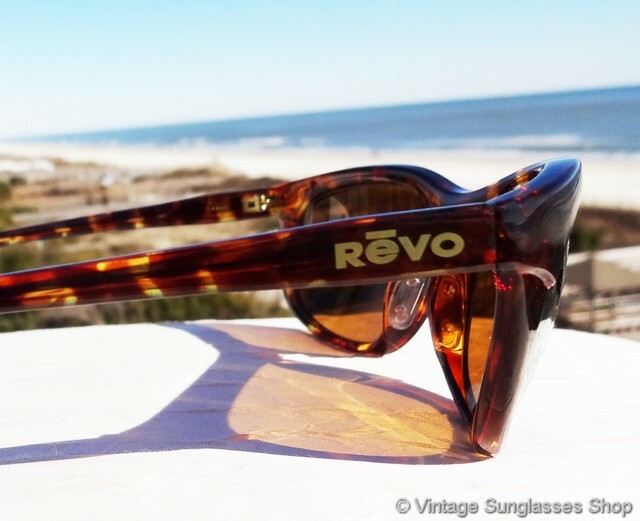 The nose pads are imbedded in the frame so these Revo 1001 sunglasses retain a crisp, clean design and look, and you'll find the Revo logo is embossed in gold on the exterior of both ear stems. 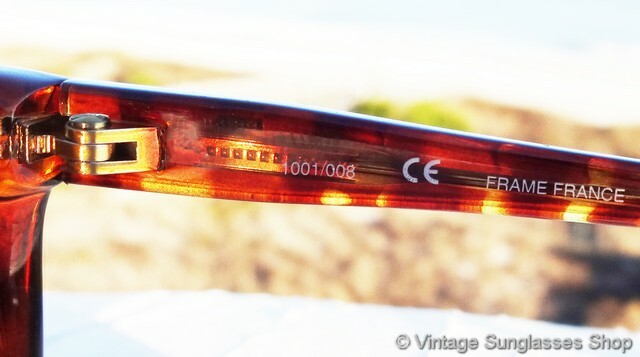 The inside of one ear stem is marked 1001/008 CE, part of a great collection of vintage Revos from the 1980s and early 1990s in Malibu, California.